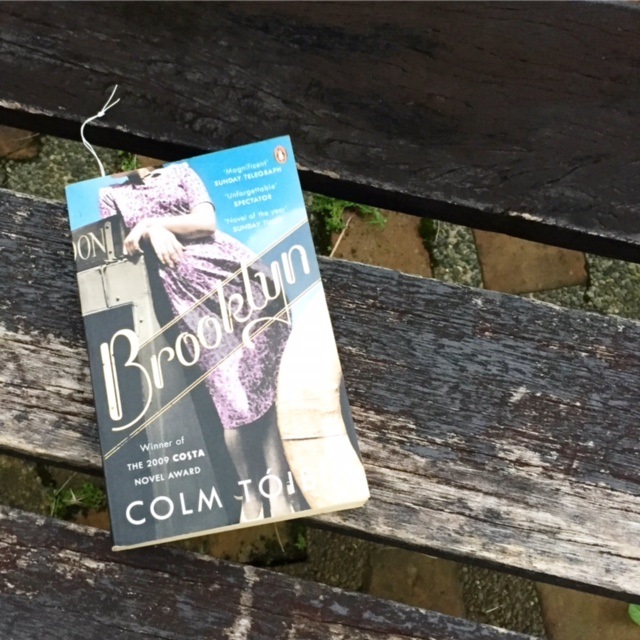 In a nutshell, Brooklyn is the story of a young Irish woman, Eilis Lacey, who finds herself torn between two lovers. (If you began to sing after reading that, I won't blame you.) She grew up in a small town in Ireland. When an Irish priest from Brooklyn offers her a job in the United States, Eilis takes it, leaving behind her mother and older sister, Rose. In Brooklyn, Eilis stays in a boarding house for ladies and works in a department store. Well into her first year of living abroad, she falls in love with Tony, an Italian immigrant. Everything is going well when bad news from Ireland summon Eilis back home, and there begins the conflict. I may have unwittingly divulged an important part of the book, something that's not mentioned in the blurbs or summaries, and I apologize. But Eilis' life first in Ireland, and then in Brooklyn, didn't much engage nor compel me; perhaps it's her nature, or the way she was brought up, or her Catholic upbringing, but whichever way, her life bordered on the mundane and uninteresting, so much so that when she found herself being the center of attention for once, I thought that the novel would finally pick up. Ah, there's hope for Eilis yet. But therein lies the bigger problem: indecision. And I hate indecision. Hasn't the girl matured enough to think logically and reasonably? Oh yes, she was a late bloomer, she's not used to the attention, she can't be blamed because she'd been sheltered all her life, etc etc. Also, how can she think when these are matters of the heart to consider? I'm sorry but my eyes can only roll so much, and I do not want to pull my hair out in frustration over a character who stands to lose everything because she just couldn't decide. Every moment that she delayed making a decision, I got agitated. Seriously.